Jack is a Client Service Associate with Heritage Wealth Advisors. As a Client Service Associate, Jack assists the Director of Tax Services and Relationship Managers with servicing existing and new client relationships in the areas of tax preparation, financial planning and estate planning. 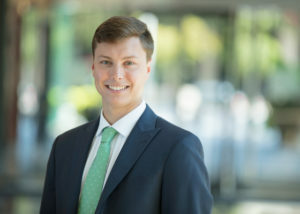 Prior to joining Heritage, Jack worked at an RIA firm in Washington, DC helping clients prepare for retirement through comprehensive financial planning. Jack is a CERTIFIED FINANCIAL PLANNER™, CFP® and earned a Bachelor of Science degree from Virginia Tech in Applied Economic Management with a concentration in Financial Planning.